The Agriculture Street campus will soon be filled with excited teachers and students ready to begin the 2018-2019 school year. The new campus on Agriculture Street is moving along swiftly. This latest drone footage by Mr. Tom Gregory shows the progress. The new construction project is being built by Ryan Gootee Construction. ​Construction of the new GSS campus on Agriculture and AP Tureaud street is progressing on schedule. 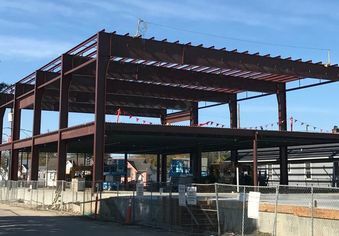 The September photo update from Ryan Gootee Construction is below. 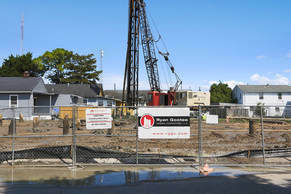 The pilings are down and construction trailers are on site as the "building-up" begins. 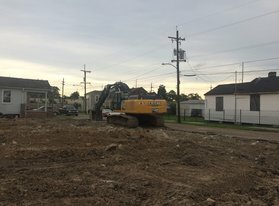 Another historic day for GSS as the first pilings for our new school building at 1839 Agriculture St. were driven this morning. We will post updates of the construction project over the upcoming months as we await the completion of our new campus in the summer of 2018. Demolition of our new school campus site is complete. Pilings going in, slab being poured and the first structural building should all begin in the coming months. As we watch this vision being built from the ground up, we continue to pray, plan and work for a future not our own - a future that will impact this generation and many more to come. This may look like an empty dirt lot but it in reality it is sacred ground and the beginning of a new foundation laid over 16 years ago. We give thanks for this day and know the gift we are receiving as we watch this dream become a reality. 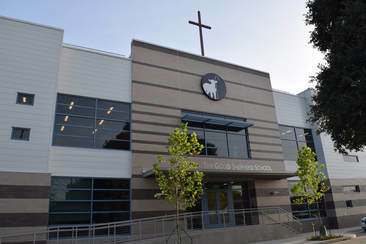 Libations of mission, love, and commitment were poured out at The Good Shepherd School's Groundbreaking Ceremony, Wednesday, April 5th - the 16th Anniversary of Fr. Harry Tompson's passing. We were certain of "Irish Eyes Smiling" and looking down from heaven as dozens of supporters, benefactors, and dignitaries were present for the special event in our school's history. 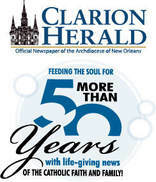 Guest speakers included, board president, Ronnie Briggs, Fr. Frank Reale, S.J., Mayor Mitch Landrieu and school president, Tommy Moran. We were reminded that unless the Lord builds the house, the builders labor in vain (Psalm 127). We have no doubt that our new school project is blessed and destined for greatness and will be the vehicle of success for future GSS scholars. The day began with our Founder's Day Mass held at Immaculate Conception Jesuit Church. All in attendance witnessed the vision come to life in the voices of our choir and those who read the sacred scriptures. The gifts offered included a portrait of our founder and text books signifying the potential of our students through education. A small reception at the school followed the Mass. Then it was on to the business of breaking ground at our new school site, 1839 Agriculture on the corner of Agriculture and A.P. 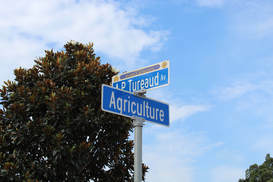 Tureaud in Gentilly. The weather held out beautifully as the crowd slowly trickled in. Seventh Grader, Genesis Prosper, was dressed for the occasion, representing the students. The GSS Family is grateful for all those who blessed us with their presence for these events and for all those who have been a solid part of our foundation that has led us to this day. 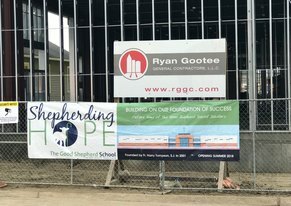 Click here to learn more about our building project and the Shepherding Hope Capital campaign or call Jamie Roy at 504-598-9399.